election will discuss their positions and issues. Date: Monday, March 23, 7 p.m. Date: Saturday March 28 Time: 12:30 pm. to 3:30 p.m.
Economy/Green Jobs initiatives and ways we can all conserve energy. Combined MeetUp/Meeting for MCPA, DFMC, MoveOn, PDA, PWG and more. 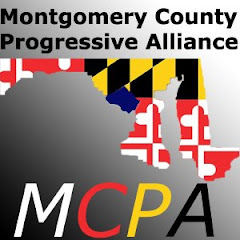 the Progressive Working Group as well as several "MeetUp" groups. Eco-Justice Cafe' University of DC--Friday, April 3, 6 p.m. to 10 p.m.
Next time we mention Magpie, make sure you're there! well-attended and (we hope) very effective.